Miomni were approached by Showtime to bring their amazing catalogue of original series, sports and movies to the new and exciting platform of Smart TV . 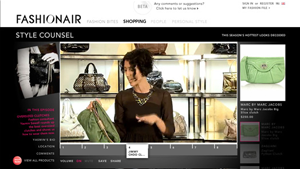 The Miomni team worked closely with ShowTime to bring there catalogue to Smart TV with Broadcast Interactivity. (The ability to combine live broadcast with Smart TV real-time interactivity). With Broadcast Interactivity, a viewer watching Showtime receive on-screen prompts that enables the viewer to press “OK” on their remote to link directly into a section of the Showtime Smart TV App. This section has content related to the telecast, intended to be simultaneously or synchronously experienced while watching programming on Showtime. With the hottest Original Series, sports and movies anywhere, SHOWTIME® is premium entertainment at its best. Nowhere else can you watch groundbreaking, critically acclaimed Original Series like Dexter®, Californication, Nurse Jackie, Homeland, Shameless, House of Lies, Weeds, The Borgias, Episodes, The Big C and more. No other premium channel has a wider variety of hard-hitting sports, from Showtime Championship Boxing and Strikeforce Mixed Martial Arts to Inside the NFL™ and Inside NASCAR. And SHOWTIME brings you more variety and choices all year long with documentaries, comedy specials and the biggest hit movies, including The Help.